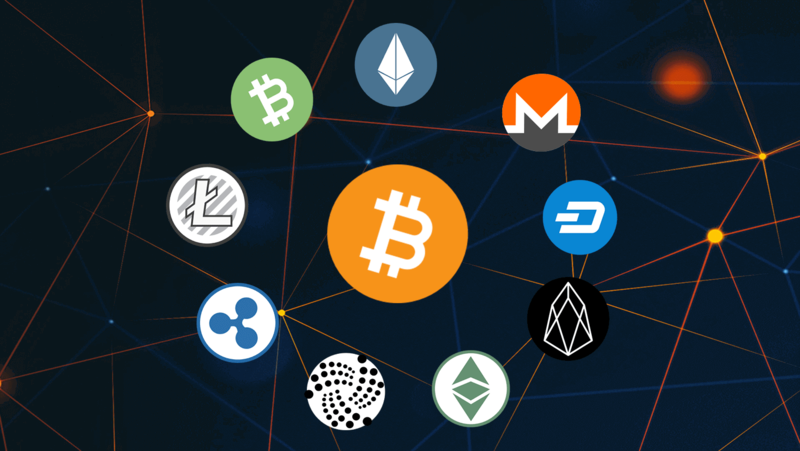 There are currently over 2,000 cryptocurrencies and digital tokens trading in the cryptocurrency ecosystem. Most cryptocurrencies over-promise to revolutionise certain areas of commerce, and some altcoins even go as far as to claim to be a better, updated version of Bitcoin. However, Bitcoin is unique and stands apart from all other altcoins for a couple of important reasons. Well simply, altcoins are all cryptocurrencies other than Bitcoin. Perhaps the biggest difference between Bitcoin and altcoins is its origin, history and grass roots adoption. The creation and growth of Bitcoin from its humble beginning into the world’s largest and most widely adopted cryptocurrency was a one off fluke event. In the aftermath of the 2008 Global Financial Crisis, an anonymous author using the pseudonym Satoshi Nakamoto posted a nine page document onto an online forum. The paper titled Bitcoin: A Peer to Peer Electronic Cash System would become the building block for what is today the first fully working concept of decentralised electronic money. The anonymous creator of Bitcoin mined the first block of the Bitcoin Blockchain (called the Genesis block) in January 2009. It’s believed that he or she continued to mine more Bitcoin until sometime in 2010. It’s important to note that a single Bitcoin was worth basically nothing at the time they were mined by Satoshi. In fact, in March 2010 online user SmokeTooMuch auctioned 10,000 Bitcoin for $50 but was unable to find a buyer. The first real-world Bitcoin transaction occurred in May 2010, where two pizzas were traded for 10,000 BTC, meaning that one Bitcoin was worth far less than a single penny in mid 2010. Bitcoin continued to develop under the radar, and adoption by savvy online merchants slowly increased. The ecosystem grew steadily as users began to learn about the utility and usefulness of Bitcoin as a censorship resistant way to transfer value online. More users began to use Bitcoin to circumvent authorities and payment blockades while others, particularly in broken economies such as Cyprus and Zimbabwe, sought refuge in Bitcoin as a store of wealth and as an alternative to their crumbling currencies. Meanwhile, the anonymous creator faded off into the distance and was never to be heard from again. The vast majority of altcoins, on the other hand, have a very different history. Most altcoins have a known founder and development team. Many even have marketing departments, offices, publicists. And while they claim to be decentralised, the survival of most altcoins rely on their creator and small development team to grow and sustain their project. Bitcoin is governed by the laws of computer science and mathematics, while many altcoins are centralised in the hands of their creators. Centralising the rules of a cryptocurrency in the hands of a group of people seems like a reasonable idea, but humans are corruptible. Altcoins where humans are in charge are able to be shut down, turned off, prosecuted in a court of law, or otherwise compromised. Compare that to the decentralised mathematics that govern Bitcoin. Maths can never be corrupted. One plus one will always equal two. To further illustrate this, the rules of the Bitcoin protocol, such as the number of coins in circulation and their emission schedule, are all embedded into the source code. On the other hand, many altcoins which claim to be decentralised are sometimes governed by human decisions. Examples of this are Ripple (XRP) employing Mary Jo White, former Chairperson of the US Securities and Exchange Commission, Ethereum (ETH) reversing transactions by rolling back their chain in 2016, and EOS (EOS) freezing 27 accounts just last week. The vast majority of altcoins are also premined. A premine is where a developer of an altcoin allocates a certain amount of their coin for themselves before releasing the project to the public. This advantages the developer of the coin and their closest circle of friends because a premine basically allows the developer to print their own money out of thin air to then dump onto the public. This is a huge contrast from the spontaneous creation of early Bitcoins by Satoshi. Bitcoin also stands apart from all other altcoins with the exception of Ethereum, from a regulatory standpoint. Recently, the U.S. Securities and Exchange Commission (SEC) declared Bitcoin and Ethereum not to be securities. However, they then went onto state that most ICOs probably are securities which will need to comply with securities law or face the consequences of being an unlicensed, unregistered security. Bitcoin has first mover advantage. It has the largest network effect, and despite it not having a marketing team, continues to be the most widely recognised digital currency. The entire ecosystem is still very young, but in its nine year history, Bitcoin has never been shut down or turned off, transactions have never been reversed or blocked, and its mining power continues to grow relative to altcoins. Bitcoin has no central point to attack, and no known creator to govern over it. These are just a few of the reasons which set Bitcoin apart from all other altcoins.